4 images. Smog, 10 December 1950. 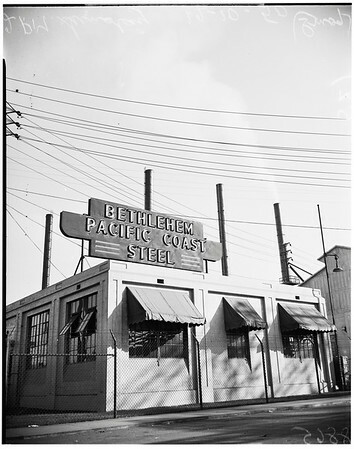 Bethlehem Steel Corporation at 3396 East Slauson Avenue gives out with smog from two smoke stacks at 2:00 p.m. Sunday, December 10th. (Sleeve reads: 8865 now 9593).